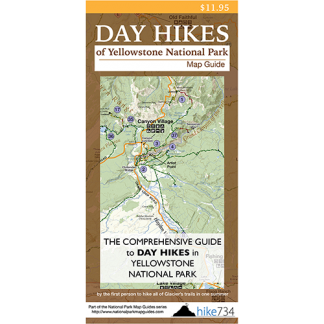 This short, steep hike brings you to the sublime meadows in the upper stretches of the Pebble Creek valley. The trail enters a nice alpine forest and immediately begins to climb. It’s a persistently steep, uphill climb of 1,000ft/300m to the pass. As you climb, you will have filtered views of Abiathar Peak and Barronette Peak, as well as the Soda Butte Creek drainage below. After a few switchbacks near the top, the trail travels through a level notch with a teaser view of the valley. It then enters trees once more to quickly drop 250ft/75m to the valley. Emerging from the forest, the high alpine valley floor stretches out before you. Sparsely treed, grassy hills line the meadows. The rocky walls of Cutoff Mountain and Barronette Peak create a dramatic backdrop. From here the trail fords willow-lined Pebble Creek and takes you to the meadow. 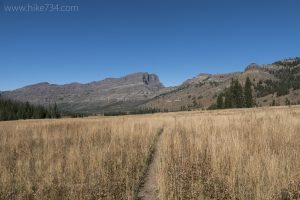 Explore the meadow before turning around and heading back to the trailhead. For a longer hike, continue on the trail as it follows Pebble Creek downstream. You ford the creek three more times as the trail descends from the broad open meadows to the forested valley. This will add 8mi/12.8km to your hike. A shuttle will need to be arranged for this longer, one-way option. Trailhead: Located just west of the Northeast Entrance on the Northeast Entrance Road. The trailhead is labeled as “Warm Creek”.